From a county with such an array of stellar choices, David Clifford shouldn't have had too far to look for an inspiring figure. But significantly it's to Armagh that he finds himself drawn to for a name that he has been keen to model his game on. "I suppose it is a bit of a funny one, the player I would really have looked up to was Armagh's Jamie Clarke," the 19-year-old admitted. "He is just very classy. I would have remembered certain things he would have done on the field and then I used to try and do them. He has so much style in his play that I always admired." Naturally, Colm Cooper was another guiding light in his formative years. "I totally idolised him growing up, still do and it is more a case of trying to imitate a lot of the things he did when he played for Kerry." 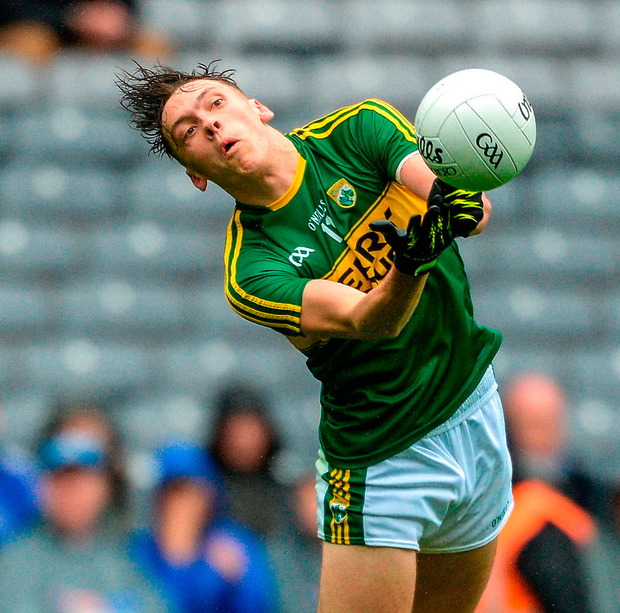 Clifford has lived up to his reputation in his first year as a Kerry senior, winning a first PwC GAA/GPA All-Star despite Kerry's failure to advance past the All-Ireland quarter-finals and managing the hype around him that has built up on the back two All-Ireland minor titles. "It was a great year personally, it went well but for Kerry we did not end up where we wanted to be. It was a tough year but a great year too," he admitted. "There are loads of fellas out there, be it my friends and people in the club who would bring you back down to earth straight away if they thought you were getting too big-headed. You try and avoid the hype and that is what I tend to do." Inevitably, he's a target for every team that he comes across but it's something he admits to getting used to quickly. "It's about trying not to react as much as you can. You're going to get things like that." Adjusting to the physicality of senior football has been the biggest test for him. "You have a bit less time on the ball and when you're getting hits they're coming a bit faster and a bit stronger. That was the tough side." His former minor manager Peter Keane is now in charge of the seniors but Clifford has paid warm tribute to Eamonn Fitzmaurice for the faith he showed in him when he felt his form wasn't what it should have been during the league. "I will be forever thankful to Eamonn for giving me the chance. The professionalism of that man is something to behold, it is ridiculous in that every single minor little detail was covered. He was unbelievable. The Kerry players know how thankful we are to him. "I was not going so well in the league and he stuck with me. I started in the first championship game then and that was a massive lift for me. It relieved a small bit of the pressure the fact that I was in the team." He has put initial concerns over a shoulder injury behind him and now expects to be involved in the 2019 league. Martin Breheny There's growing unease among lower-ranked counties over proposals to include 16 teams in a second-tier championship.